To celebrate the 2012 Summer Olympics being held in London, the Flimby factory takes things into their own hands, literally. Next year the Summer Olympics will make their way to London for the first time since 1948. With that in mind, you already know the wheels began turning in the minds of sneaker designers and collaborators as soon as the news broke a few years back. With one of the most respected production facilities in sneakers, New Balance and their Flimby, England based manufacturing team have decided to create a special "Road to London" pack that includes to colorways of the storied 576 model. 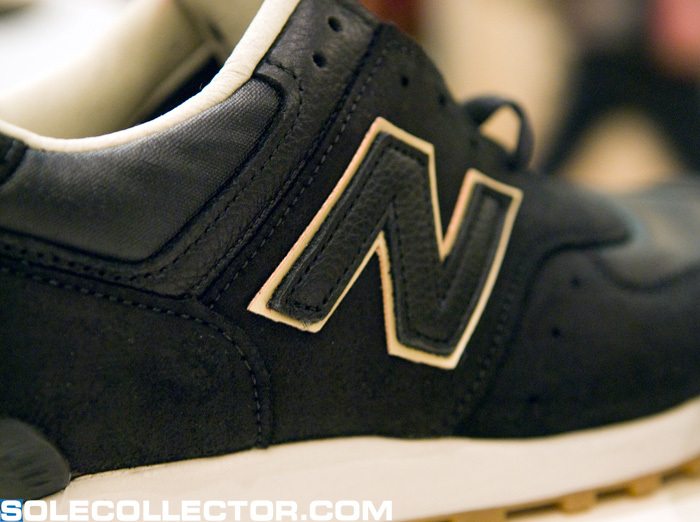 The 576 model is one that is most commonly made at the Flimby New Balance factory, and carries the quality craftmanship that fans of New Balance have come to trust. However, for the Road to London Pack, they've taken things to another level. 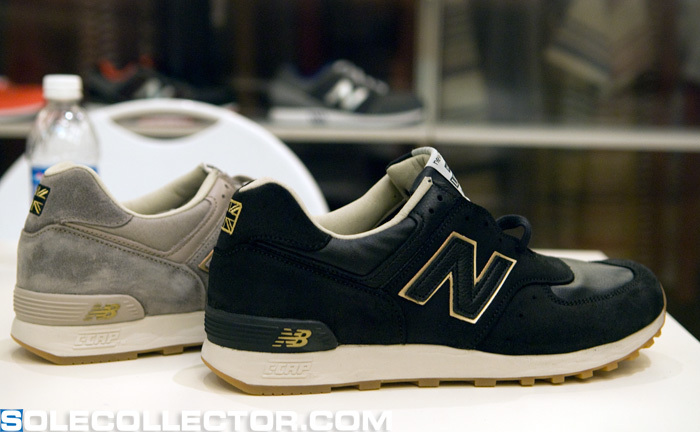 The New Balance Road to London Pack features two gold accented colorways, a grey version, and a black version. 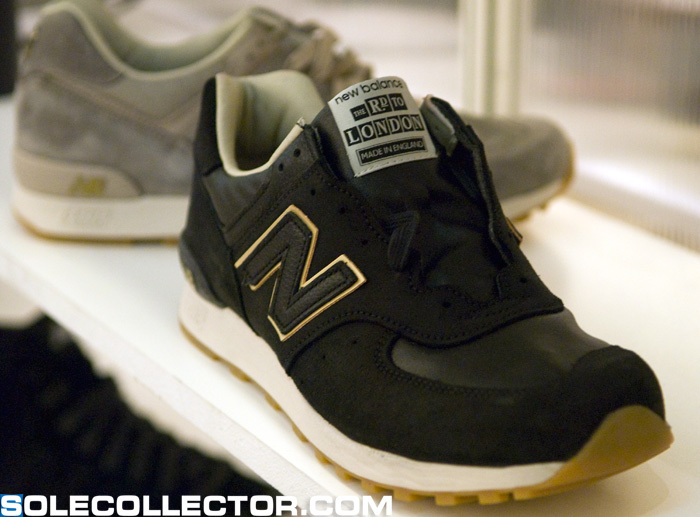 Each is detailed with Made in England badging. 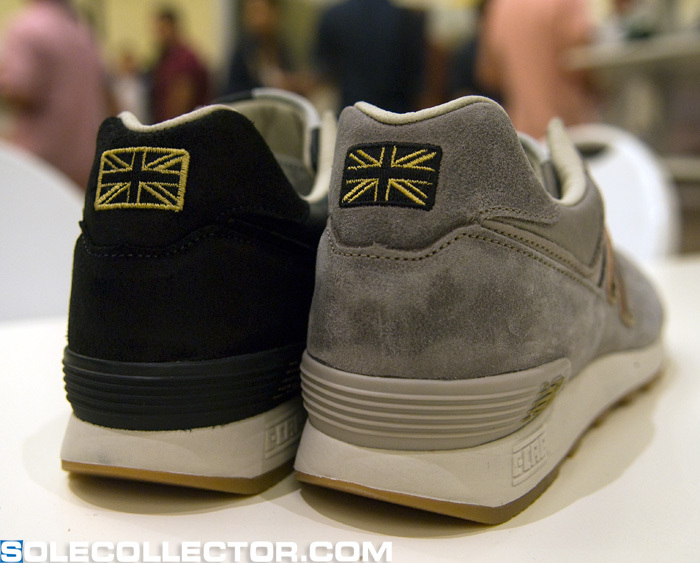 Underneath the waxed laces you will find special Road to London graphics on the tongue. 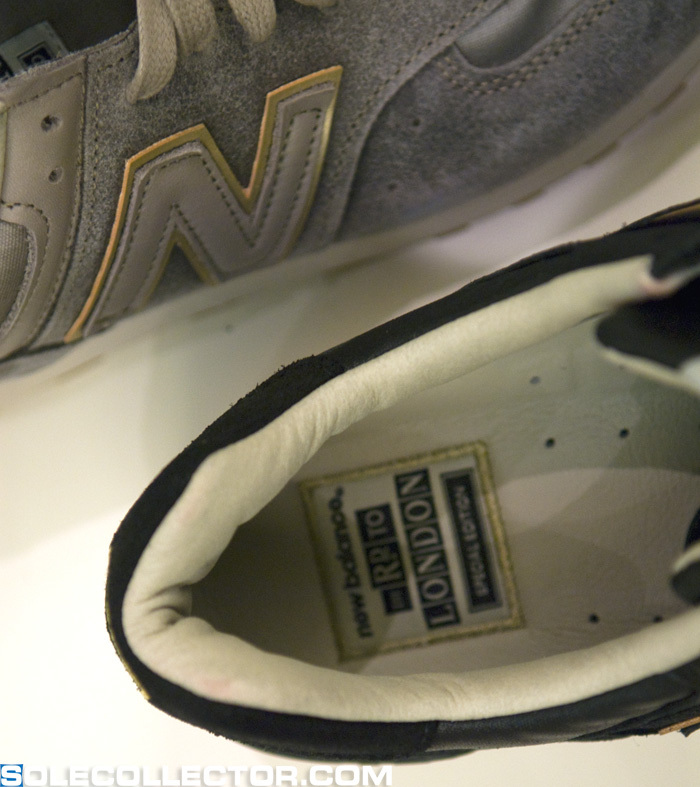 To ensure the highest quality possible, all stitching is done by hand, including the stitched label on the insole and the United Kingdom flag that resides on the heel. 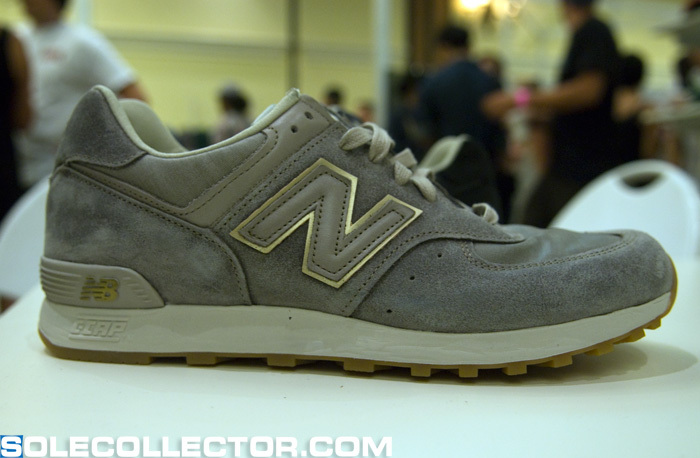 Look for these at your local New Balance retailer this fall.